The jute paper and the coloured ribbon can be used again for other decorative purposes. 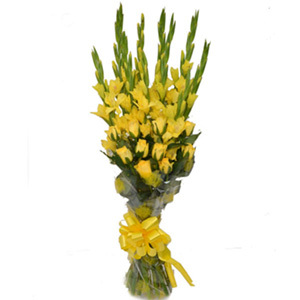 The use of green fillers in the bouquet depends up on their availability and their preferred seasons. The world got its first ever blue rose in 2004. 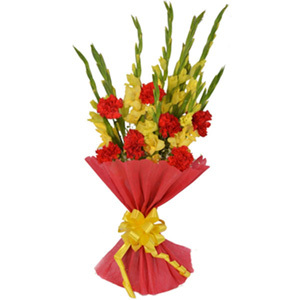 Glads are usually the birth flowers for August. 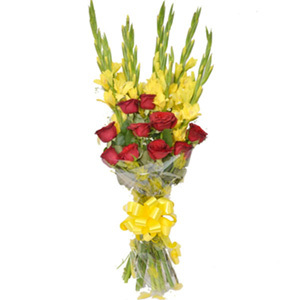 You definitely need a beautiful and heart winning floral gift like this to impress your loved ones on their special day. 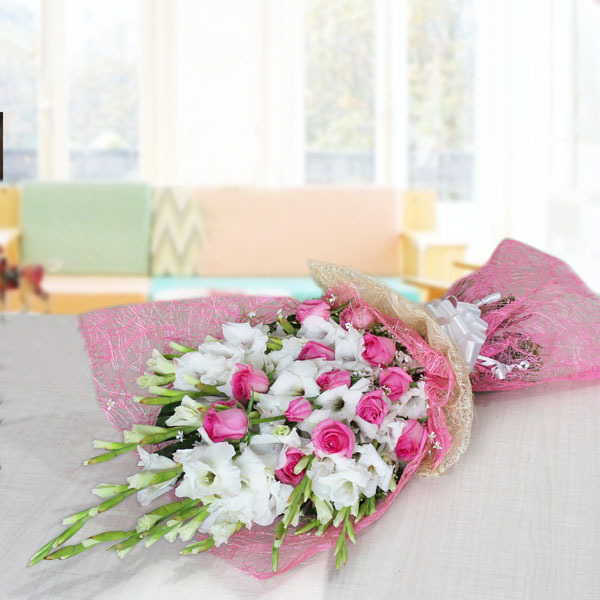 So buy this attractive floral bouquet here online which is designed with pink roses and White glads and wrapped in jute paper packing and tied with a colored ribbon. 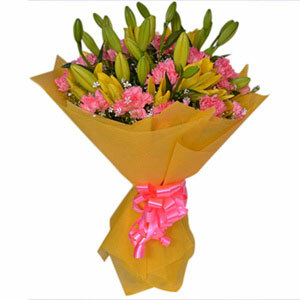 5 Impeccable arrangement of flowers.